The CMS' decision to punt on a question about how hospitals will be paid going forward under the Comprehensive Care for Joint Replacement (CJR) model is sparking providers' fears of financial instability. On Thursday, the CMS posted a 58-page frequently asked questions document, and one of the most pressing inquiries was how payment under the CJR model would change going forward now that the agency has finalized a rule that removed total knee arthroplasty from the list of procedures that can only be performed in inpatient facilities. Specifically, hospitals have been asking the CMS if spending goals, also referred to as target prices, would be altered. The current goals they are being held accountable for are based on claims data that include healthier seniors that are now likely to get knee replacements performed in outpatient settings. The CMS said that there are no mechanisms to make adjustments to the CJR target prices at this time, but it is working to address the matter in a future rulemaking that will be released later this year. The CJR model is a mandatory bundled payment program for hospitals in 34 geographic areas around the country. As of last month, 465 hospitals are participating in the effort, according to the CMS. Hospitals that meet quality and cost thresholds for their Medicare lower-extremity joint replacement patients are eligible to receive savings, or get hit with penalties if they miss them. The decision to allow knee replacements to take place in outpatient settings means that likely only sicker seniors will continue to get them in inpatient settings, according to providers. As a result, collective spending on these procedures will be higher and more hospitals will miss target price goals and have to pay penalties to the CMS, according to Jonathan Pearce, principal at Singletrack Analytics, a consulting firm. His company examined claims data from hospitals participating in CJR and estimated that more patients going into outpatient setting would create a scenario where hospitals on an average would lose approximately $4,000 per episode of care. "This is obviously not an acceptable result for hospitals participating in these episodes in CJR," Pearce said in his analysis. In the absence of an updated pay policy for CJR hospitals, they need to make sure that they have reserves to cover anticipated losses, said Dr. Mark Froimson, an orthopedic surgeon and president of the American Association of Hip and Knee Surgeons. 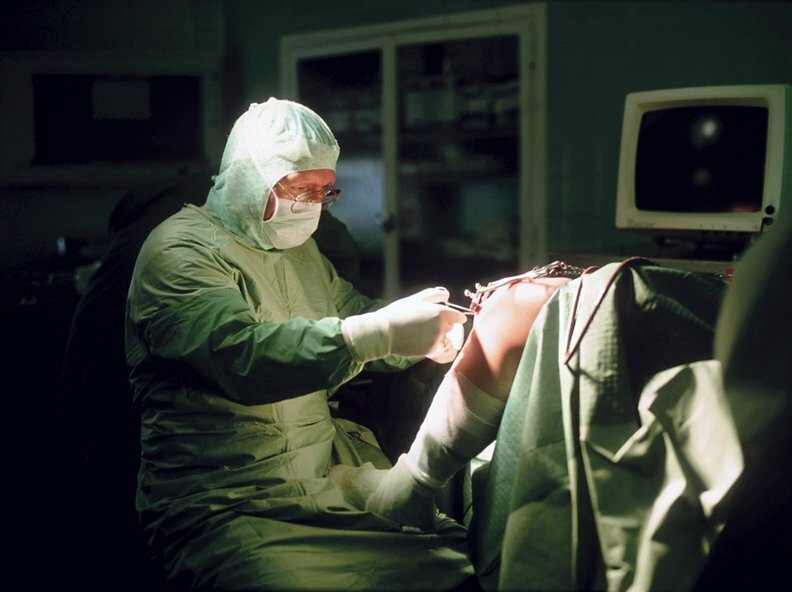 Approximately 700,000 knee replacement procedures are performed annually in the U.S., according to researchers. This number is projected to increase to 3.48 million procedures per year by 2030. However, given current financial pressures impacting the industry that may be hard for hospitals to find the money, Froimson said. "These hospitals are already operating under razor-thin margins," he said. "You can be sure that leadership teams are scrambling to figure out how to cover these additional costs." Access to care could also suffer due to the lack of an updated CJR payment policy, according to Dr. Kevin Bozic, professor & chair of the Department of Surgery and Perioperative Care at Dell Medical School at University of Texas at Austin. "[Providers] may be more reluctant to take on sicker patients because they are going to impact the total costs of care per episode," Bozic said. The decision to allow knee replacements to take place in outpatient settings is already causing financial harm for CJR hospitals, Froimson said. Knee replacements taking place in CJR hospitals are still subject to the two-midnight rule, which outlines minimum length of a hospital stay for Medicare beneficiaries to qualify as an inpatient stay. Providers have told the CMS that the outpatient rule change may make Medicare contractors believe that knee procedures don't warrant an inpatient admission. The agency has tried to mitigate that concern by imposing a two-year prohibition on Recovery Audit Contractors (RACs) reviewing knee replacements performed in inpatient settings. The goal is to allow providers to gain experience in determining in what cases such surgeries should take place in inpatient versus outpatient settings, the CMS said. But concerns over CMS' unpredictable decision making over the past year is making hospitals wary of the agency's vow, Froimson said. "Despite [CMS'] statement that there is a moratorium on reviews, I don't think hospitals have the confidence that CMS and its contractors are going to live up to that," he said. Hospitals have been so concerned about being dinged by RACs for knee replacement procedures that some have defaulted to designating them all as outpatient, resulting in a financial blow, he said. CMS's reimbursement rate for inpatient total knee arthroplasties is $12,384 compared to $10,122 for those performed in outpatient settings, according to the Advisory Board.